The UltraFlask™ 500 soft flask is an ideal compliment to the Endurance Pack, HydraQuiver Vest Packs, Gear Vest, Adventure Pack and PFV series of Orange Mud products. You can quickly stash the flask in your front chest pocket for access on the fly plus it comes with an optional use 4" hose. Quickly take it off if you just want the bite valve, or if you want the hose leave it as is! So pleased I purchased these flasks. Have given them a go on a short practise run and they are a solid addition to my run vest ! easy to access and use.... will be perfect for my Ultraman event this summer. Thanks to Josh for his customer service on answering all my questions . 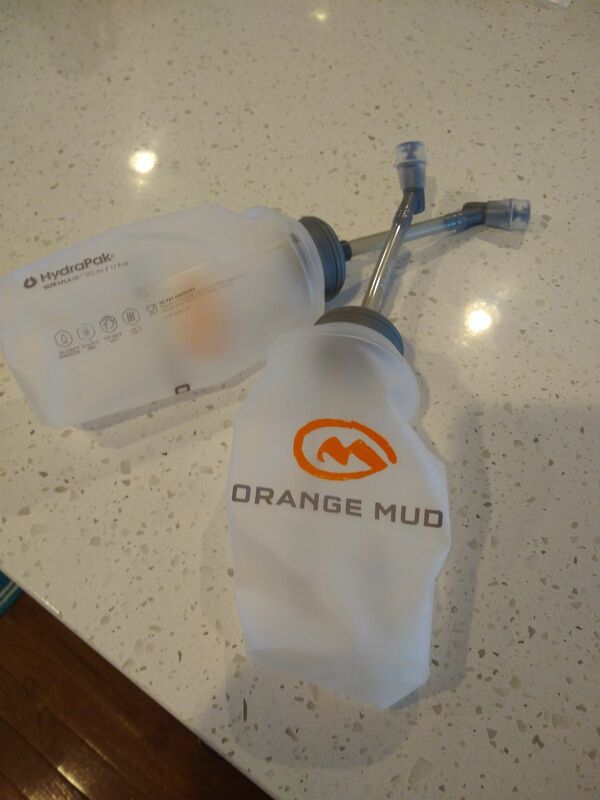 Orange Mud took the already amazing Hydrapak ULTRAFLASK 500 ml/ 17 FL oz, added the bold logo of champions, and made it into a magical, lightweight vessel for whatever you crave on runs, hikes, climbs, and unicorn rides. The container fits nicely in their P.F.V. for shorter frolicking sessions, or for grand adventures. I use mine for DripDrop and there are no weird smells or residues after a quick wash. Use this for whatever mighty electrolyte nectar you choose. Love this! Lol, "mighty electrolyte nectar" is my new favorite phrase!